In this summer heat, how would you like to cook without heating up the oven? What about not even using the kitchen? How about not having to stand over a hot grill? There are several kinds. We decided to go for the box cooker. First get two boxes of different sizes. 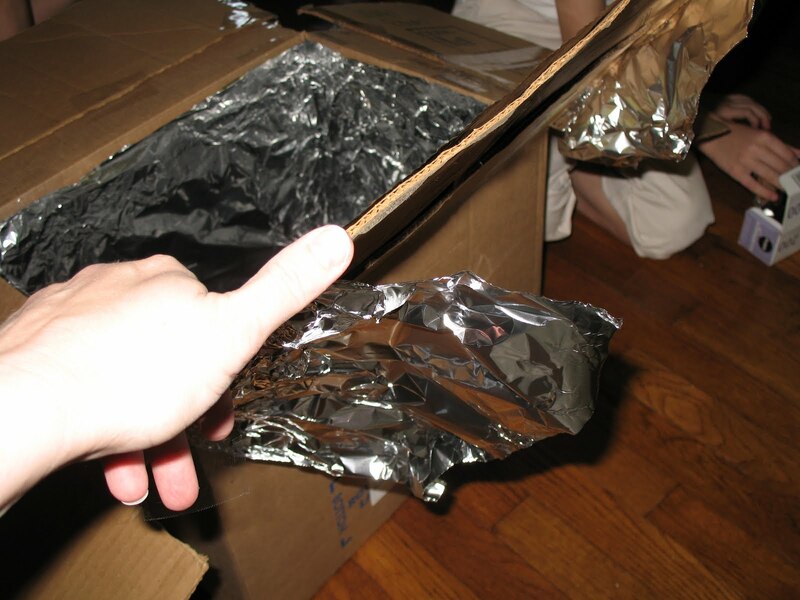 Make sure that the smaller box fits inside the larger one with at least an inch to spare around all sides and the bottom. 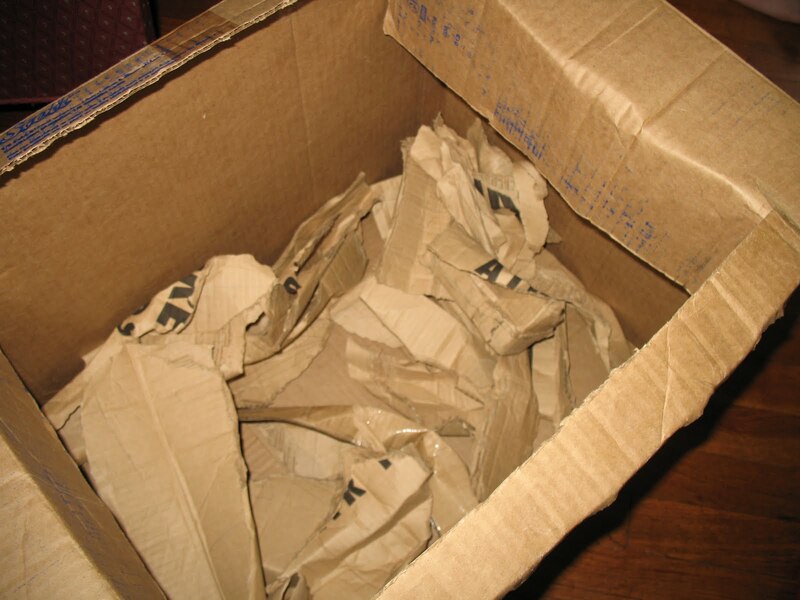 Use paper or something (not plastic) to fill some of the space on all sides of the inner box. 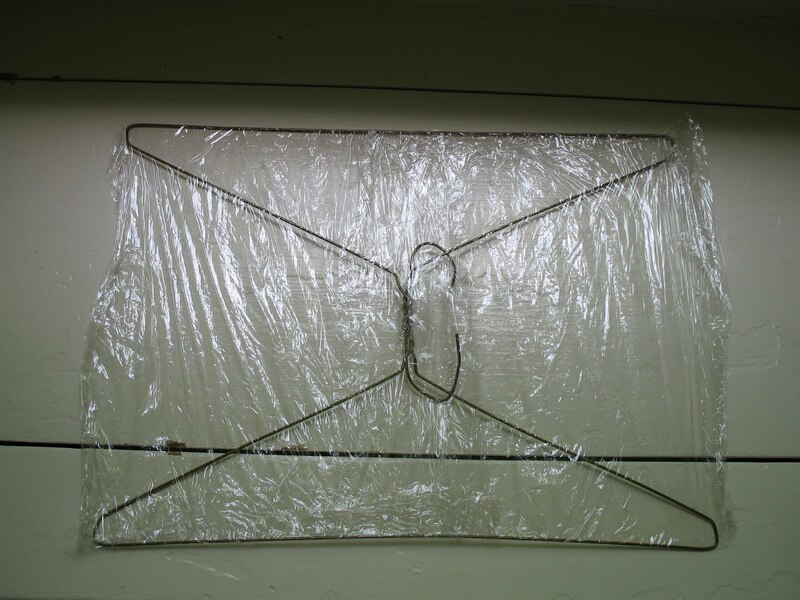 Air is a good insulator, but you will have to use something as spacers to keep the sides from touching. 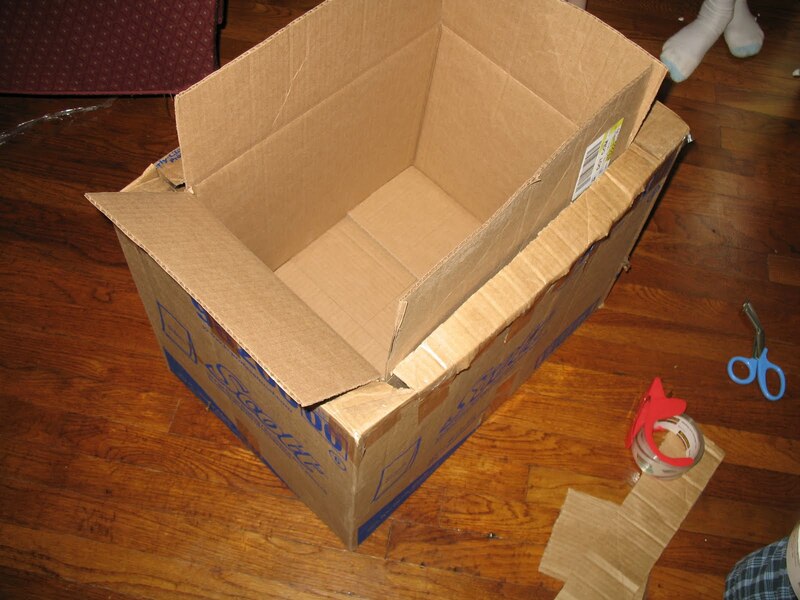 Then cover over the gap between the two boxes. 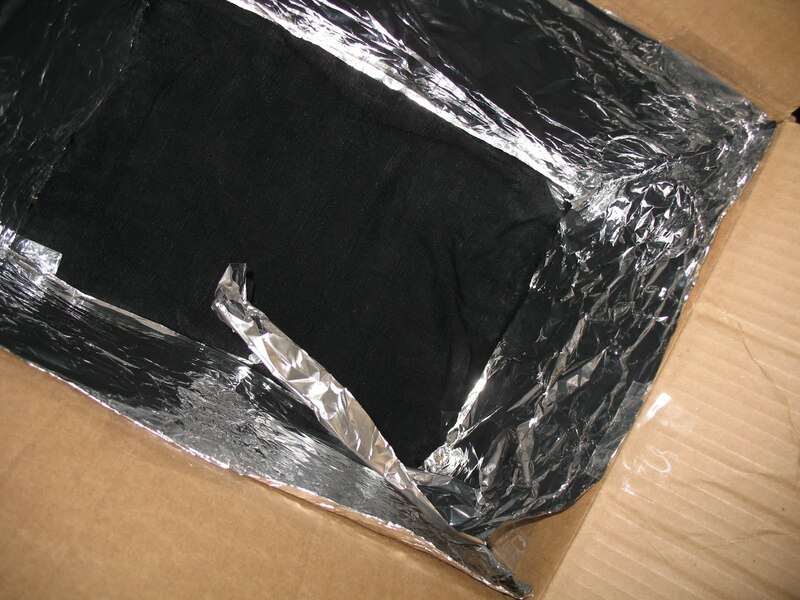 Find something black to cover the interior bottom of the box. Black paper would work fine. I couldn’t find any so we used a piece of black cloth and taped it down. 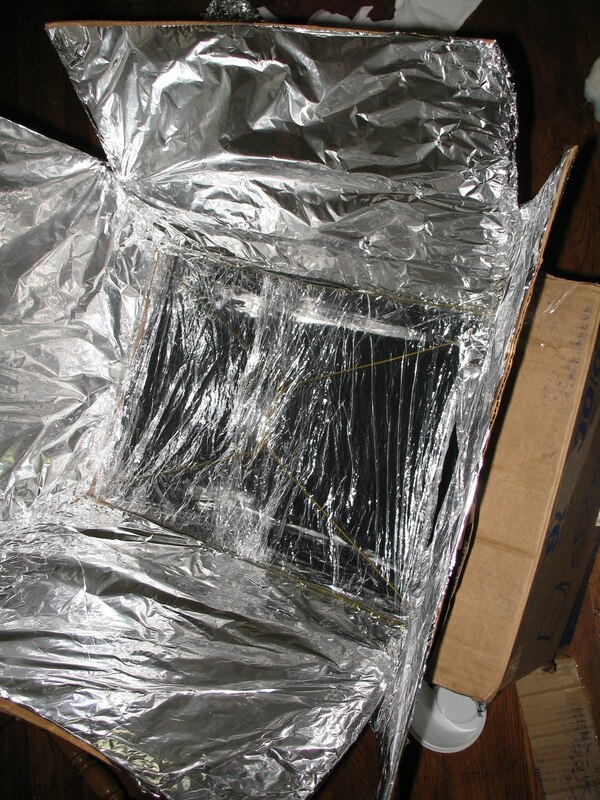 Don’t use duct tape because as it heats up it will emit fumes. 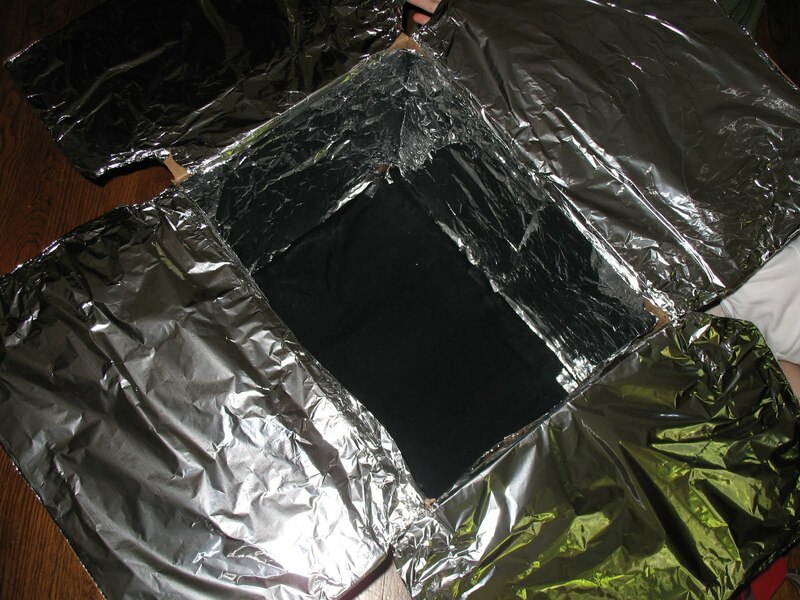 The cover the interior sides with aluminum foil. I found this easier to do when the small box was not inside the large box. You’ll then want to increase the surface area of your flaps. You didn’t cut them off, did you? We cut the flaps off another larger box and taped them on. 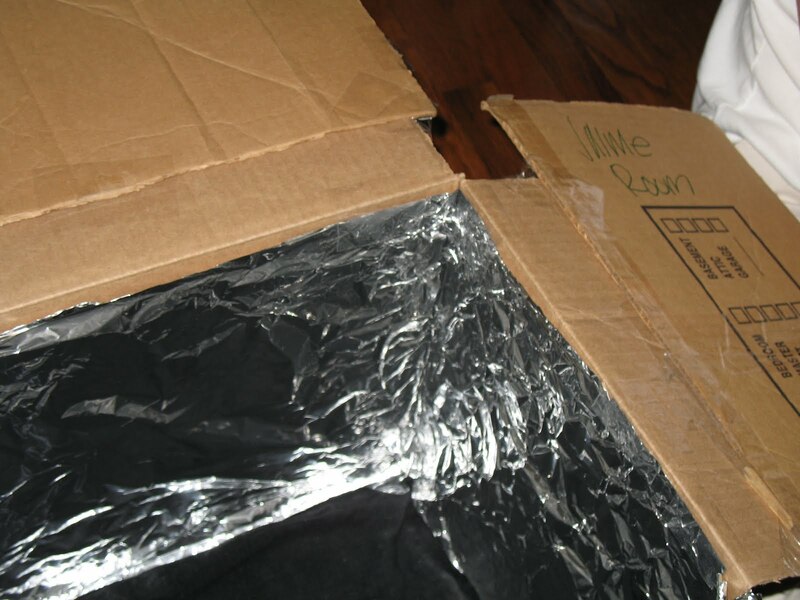 Then cover them (the inside part) with foil and tape down. Then just slide the small box carefully into the large one. Well, wouldn’t you know it. 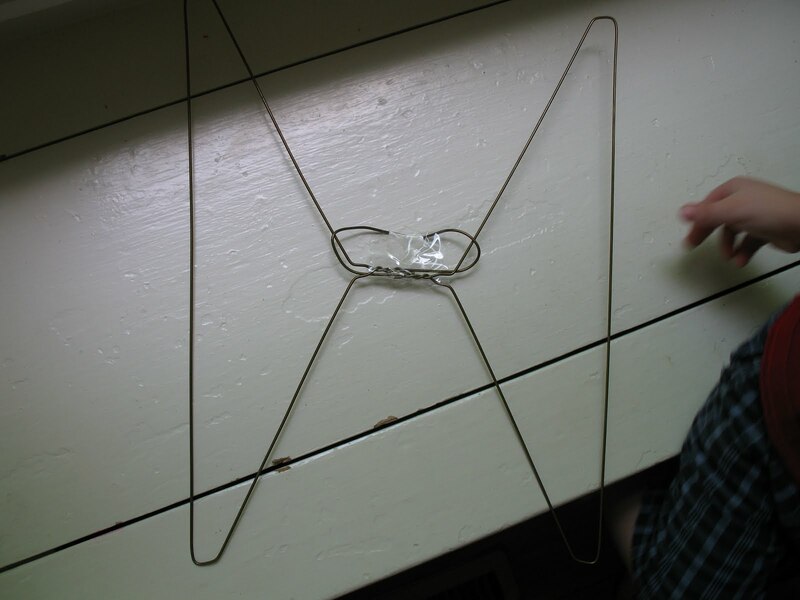 Two coat hangers taped together perfectly fit the inside opening of the box! Now wrap with plastic wrap. It doesn’t need tape because it sticks together. What to cook in? You’re supposed to use dark metal pans. The only things I have that fit that description are a bundt pan and a roaster. Not practical. I settled for a dull rather than dark finish. 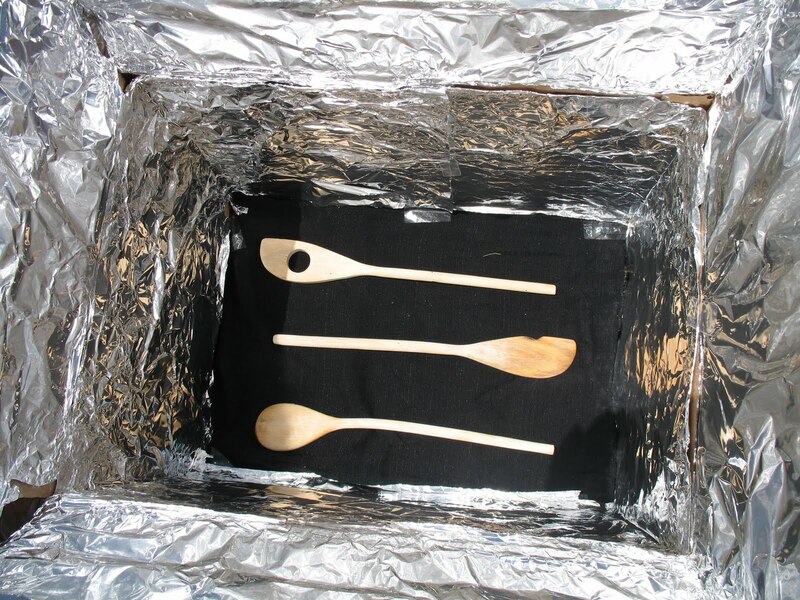 Shiny absolutely won’t work because it reflects the heat away from the food. 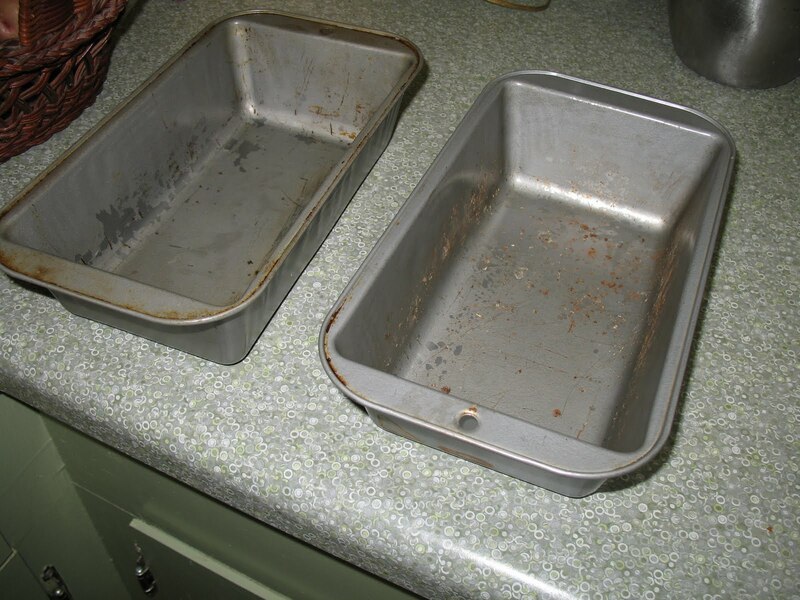 These are some elderly bread pans. What to cook? I settled on brownies. Quick, and if all else fails, not too bad runny. You need to put something in the bottom of the cooker so air can circulate all around the pans. I chose some wooden spoons. We covered them with the, um, oven cover. Now you just wait. And wait. We put them in the oven about 1:00. I checked them after about two hours. You can see that one side is more done than the other. I turned the box around and adjusted the flaps. 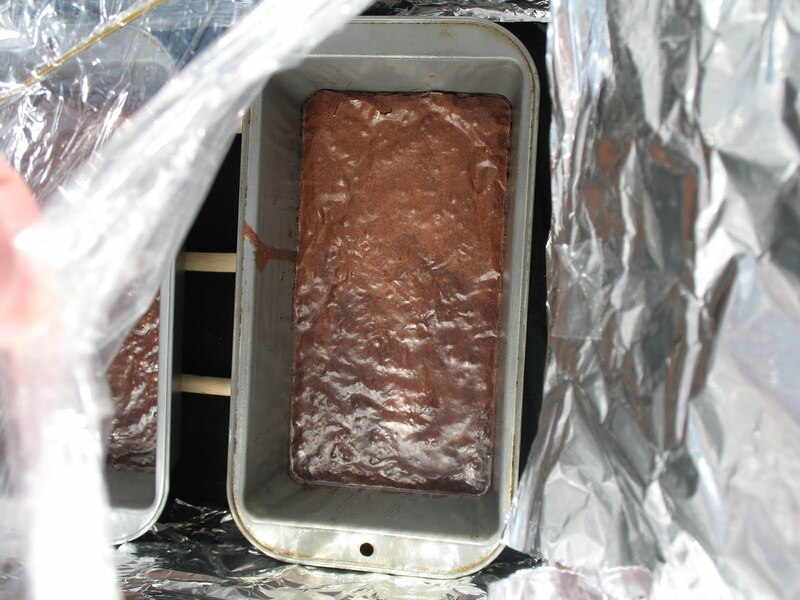 It would have been better to have been able to angle the box toward the sun, but you have to have a cooking base on gimbals for that (unless you like diagonal brownies). After four hours we took them out. About a third of each pan was done, the rest was still very soft. I cut out the done bits and put the rest in the oven (what the heck). It still tasted good! wow! very cool! 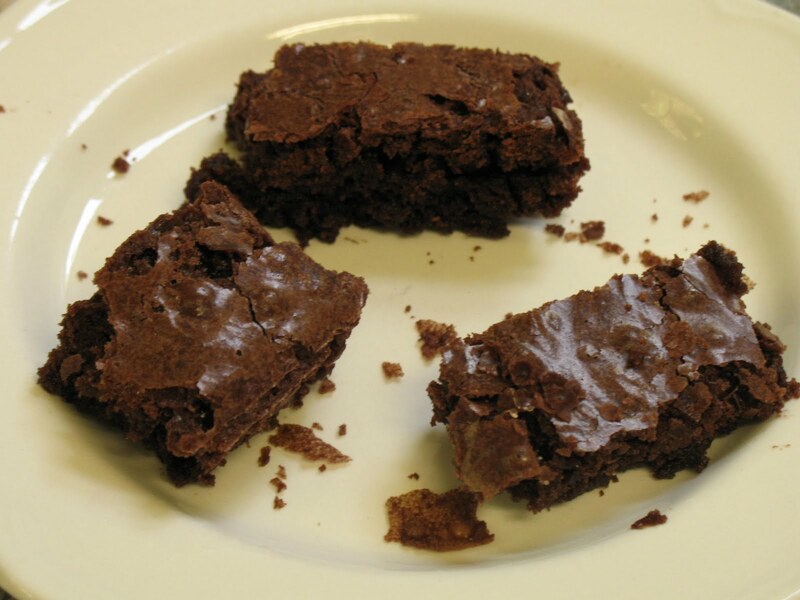 those brownies look really good! Ok, that is seriously cool! You are such a fun Mama! So cool, Matushka! We watched a Curious George episode where the power goes out and the Man in the Yellow Hat needs to cook lasagna for a party. 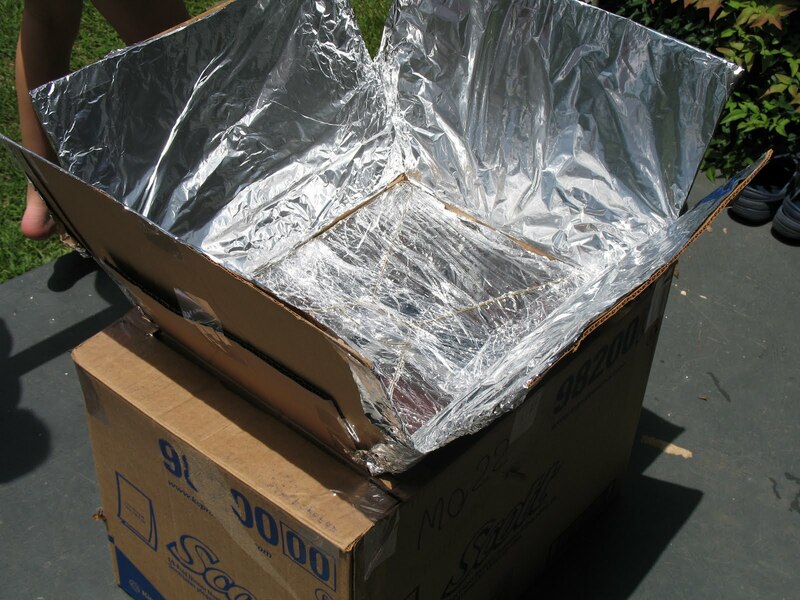 They use a solar cooker to do it… I bet my kidlets would get a kick out of this project! I just love how everyone thinks it's “cool” – hilarious considering how hot it gets! I forgot to mention that you should use oven mitts or potholders to get the pans out – they're HOT! There are instructions on the web for really, really simple cookers. 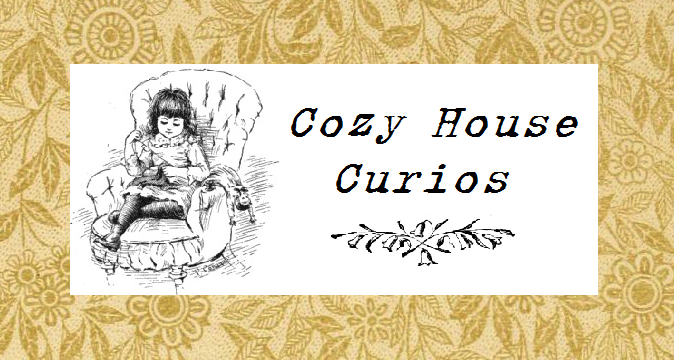 Worth taking a look at – especially for little kids. I bought the book “Cooking With Sunshine” have some boxes, got a small-ish dark enamel pan with a cover, even have a piece of plexiglass around here somewhere. Want to do try this, just haven't put all the pieces together yet! May try something with lentils. It would've been great to have one of these after Katrina. I was thinking the same thing, LV. 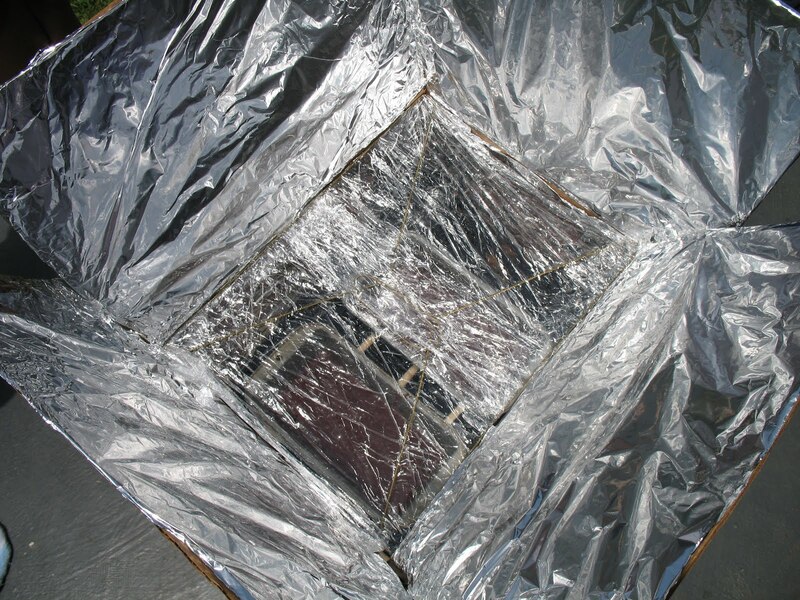 You can buy the solar cookers already assembled, buy the parts, or just follow the plans. It looks like it would really be worth doing well! I'm going to encourage my father to build one – he can build anything. Fascinating! Can't wait to try it with Juliana. OK-now I really have to do this. 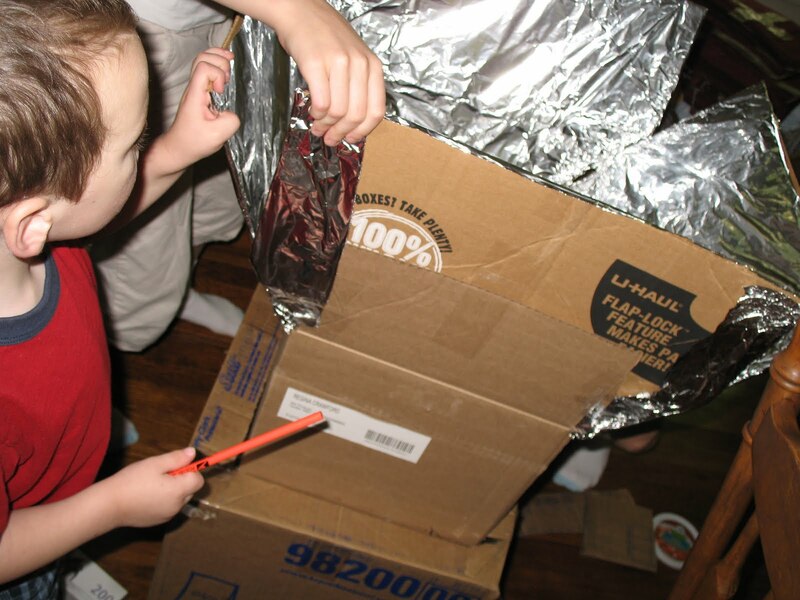 Gannon has been asking about making a solar cooker after watching the Curious George episode. 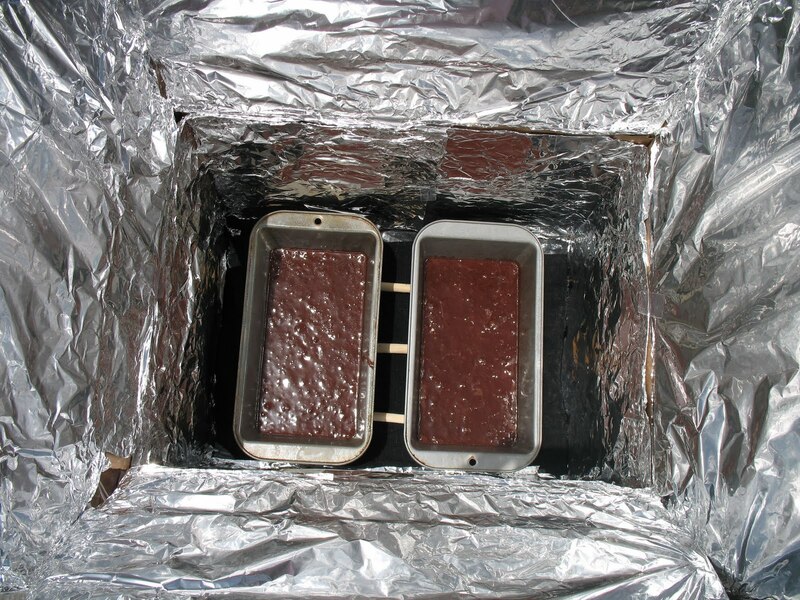 I am so impressed that it worked and the brownies look delicious! I just wanted to say thanks for this post! 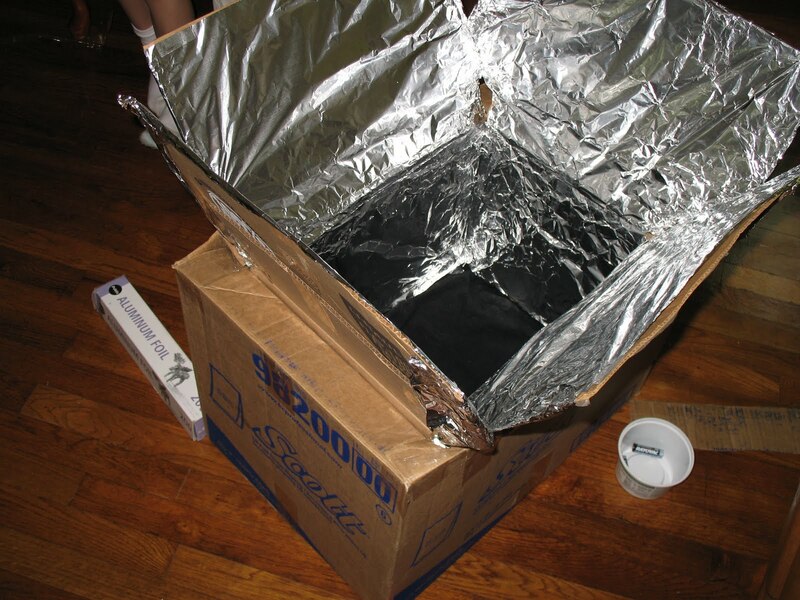 My son has been asking to cook every meal in a solar cooker like the one he saw on Curious George. I had no idea what he was talking about so I turned to Google and your blog popped up. Hopefully this will work well for us since we live in the Arizona desert. I guess we'll just have a to wait a few months to try it out, though. Thanks again! I am going to have to hunt around and find this episode of Curious George on YouTube! Now I'M curious! You may not have to wait! Fun! I remember doing this with girl scouts as a kid! If I recall we used cleaned out tunafish cans to each make our own little cakes.